Sometime it looks like the Council is coming back to reason. 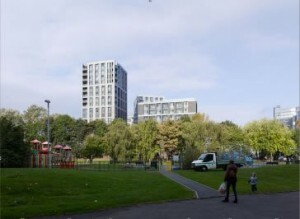 A tower has been refused in front of York Gardens last week. 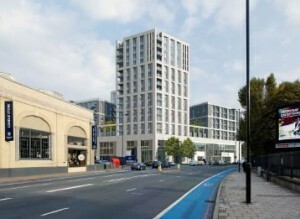 Erection of a mixed-use development up to 17-storeys to provide car showroom and workshop on ground, first and second floors and 192 residential units (basement car park would provide residents with 87 vehicle and 200 cycle parking spaces + parking spaces for customers on ground floor). There are 6 supports (most working for the businesses and dealership in the area) and 70 objections including the Candlemakers Management Company Ltd, the local Conservatives Councillors, the Battersea Society and even the Design Panel. Height and Design: pages 30-33 which show the impact on York Road and the overbearing nature of the design. Contrary to planning policy: The policy documentation (SSAD) approved in March 2014 and put forward for Examination in Public indicated that this would not be a suitable site for tall buildings (above 9 storeys). Negative Impact on the area: The outline masterplan included in the documentation is sketchy and does not appear to be endorsed by other developers or by councillors or to have had input from WBC officers. The TVI shows how the new buildings would block off views through existing blocks, tower over neighbouring buildings and mitigate against a more sensitive approach being taken by other landowners in the area. This would be contrary to aspects of DMS4. Links across York Road: consider that the layout and proposals as presented fail to indicate where and what form such links [to Clapham Junction Station and York Gardens] might take. Transport and Traffic: York Road is heavily trafficked throughout much of the day and evening. This will only increase as the impact of developments in Nine Elms and in Wandsworth Town is felt. The same is true of public transport capacity – already inadequate at peak periods and increasingly at other times. Affordable Housing: The development fails to provide anything like an acceptable level of affordable housing – just 16% of units to be offered as intermediate dwellings. “The site specific allocation for the site confirms that “tall buildings in this location are likely to be inappropriate” and that “the height at which a development in this location will be considered to be tall is 9 storeys.” It does not go as far as advising that the site would not be suitable for tall buildings, as the society suggest. Furthermore, as there is a number of emerging tall buildings proposed within the York Road/Lombard Road area, the Council through emerging policy in the Core Strategy acknowledges the possibility of this area becoming a ‘focal point’, where tall buildings would not be out of place. 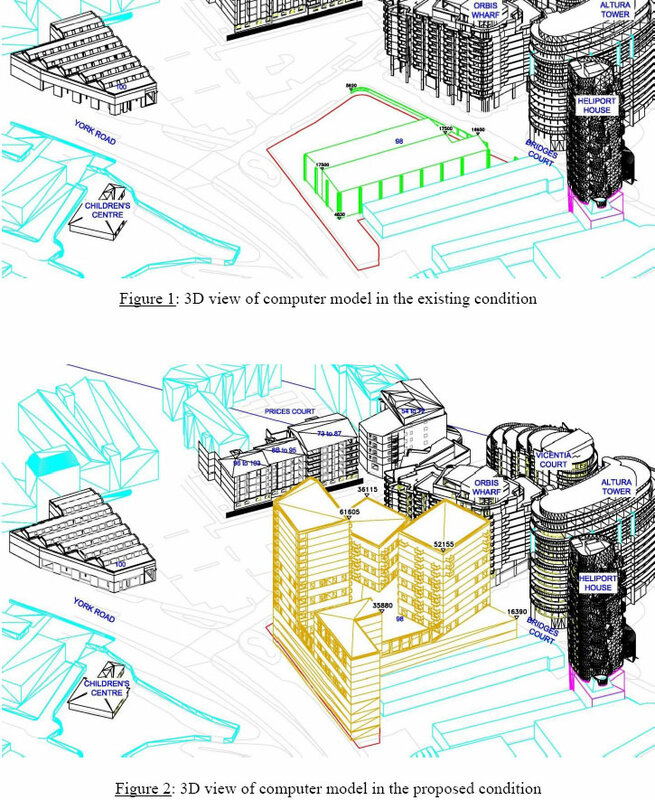 “Planning permission refused on the ground that the proposed massing and design by reason of the density of the development would constitute an unneighbourly form of development that would result in an unacceptable level of harm to the amenities of the occupants of neighbouring properties through overlooking and loss of privacy. Was it because they eventually decided that they couldn’t carry on ignoring their own planning documents (hmm the officers thought they could…)? Was it because the opposition of the local Conservatives Councillors? Was it because the developers were arrogant enough to pin-point the un-effectiveness of the current planning policies and to say that by approving so many developments in breach of their planning rules, the Council was actually changing the current guidelines? We are looking forward to the future schemes in the area to see if any thing as actually changed!